Countryside Manor of Bristol holds Wreath Walk! Countryside Manor of Bristol recently held our Wreath Walk at our center! 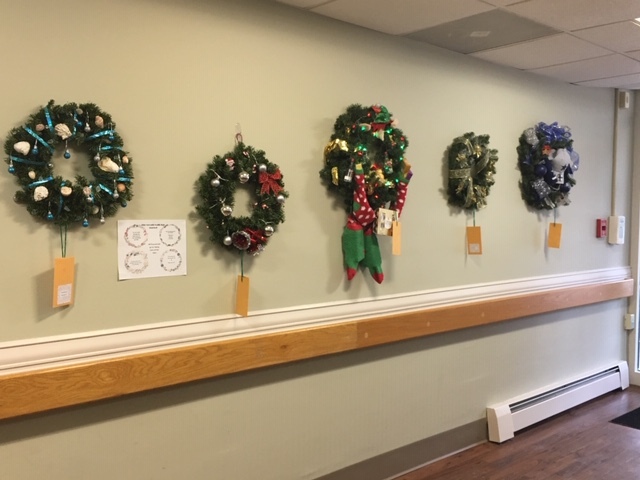 Our team purchased 30 and we asked staff, family members, residents and vendors if they would like to decorate a wreath so that we could hang them in our center and then raffle them off for our center’s Taking Care of Our Own employee fund. The participation and creativity has been overwhelming, as a result our center looks even more beautiful and festive than usual. It is wonderful to see the true spirit of the holidays in action. Participants were able to purchase tickets and look at all of the amazing wreaths we had to raffle off! The drawing for the wreaths will be Wednesday, December 19th. Stop in soon to see the beautiful display in our lobby and throughout the center!